The creators of the Norlan whisky glass have released a black version designed for blind tasting and said to enhance the aroma of whisky. The new Norlan VAILD Black Edition whisky glass features a matt black exterior designed to draw attention to the aromas present in whisky, rather than its appearance. 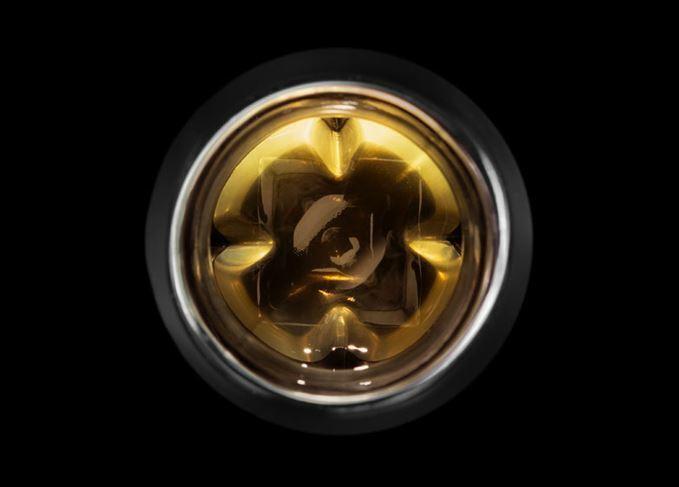 Meanwhile, the VAILD’s double-walled interior creates a ‘gold infinity mirror’ when whisky is added to the glass, showing ‘a mesmerising golden vortex’ when the glass is swirled. The VAILD glass – the name is inspired by the Scots Gaelic vail, meaning to cover or veil – also features all the design elements of the original Norlan glass, which was first introduced in 2016. Designed in collaboration with former Bruichladdich master distiller Jim McEwan, the Norlan glass aims to refine the whisky nosing and tasting experience, with retaining all the practical advantages of a tumbler. The inner bowl features protruding ‘fins’ which help aerate the contents and make complex aromas easier to detect. Norlan VAILD is available to pre-order from the Norlan website priced at US$58/£54 for a set of two. Recht added that more versions of the glass are already in development, saying: ‘The concept behind each of our products explores a different area of how different people drink whisky. Some drink it neat. Some drink it with water. Some drink it in a rocks glass. The Norlan glass was the first venture from research and design studio Serial Future Visions, which funded the project with a Kickstarter campaign. Since 2015, more than 200,000 Norlan glasses have been sold worldwide.